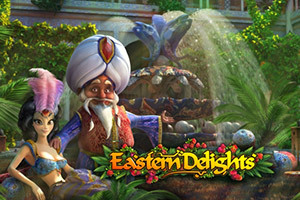 Discover the Eastern Delights with this 5-reel, 21-line slot game which definitely keeps you entertained. 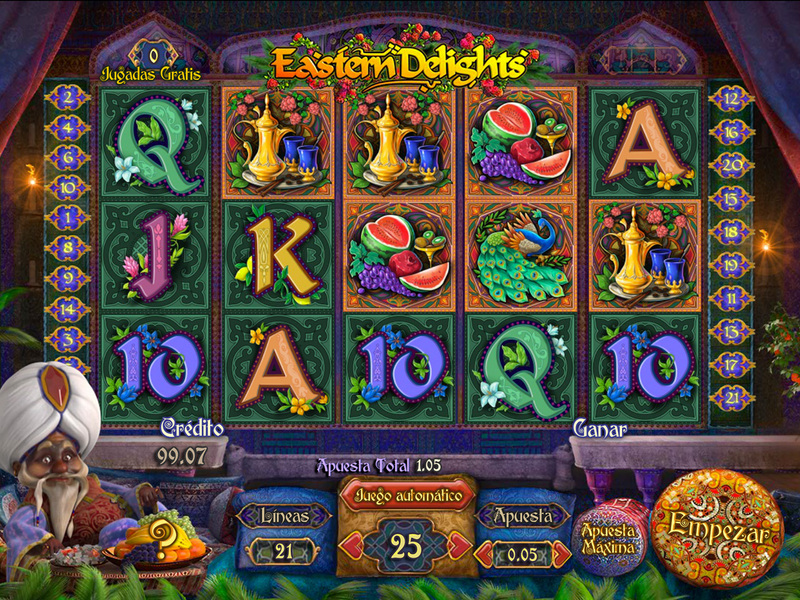 In both, the main game and in the Free Spins, regular Wild symbols substitute for all symbols except the Scatter and Lamp symbol. The Wild can appear on any reel in the main game as well as in Free Spins. 3 Scatters trigger Free Spins. The Scatter falls on reels 1,3 and 5. The number of Free Spins will be awarded according to generated free spins in Symbol Drop feature. Among the collected Free Spins, a player receives 4 Free Spins by default. The Symbol Drop Feature is active during the Free Spins mode. The Lamp destroys any horizontal line on which appears. It appears on the 5th reel during Free Spins. The Lamp destroys any horizontal line and continues Symbol Drop Feature. On each winning combination, the symbols forming it are crushed and the upper symbols fill the empty places. Symbol Drop Feature is formed by the continuous series of winning combinations and will stop when the stream of winning combinations is over. The Free Spins will be generated as long as the Symbol Drop Feature is dynamic (the maximum amount of Free Spins per 1 spin is 3). The Symbol Drop Feature is active during the Free Spins mode. The maximum amount of generated Free Spins is 50. 3 Scatters trigger Free Spins. The number of Free Spins will be awarded according to generated Free Spins in Symbol Drop feature. Among the collected Free Spins, a player receives 4 Free Spins by default. The Symbol Drop Feature is active during the Free Spins mode. The Bet is locked during Free Spins accumulation. Bet during Free Spins is based on this information.